SPIRIT 1.0 features gearbox free design and optimized motor structure. The high quality brushless DC motor with a max efficiency of 90% helps SPIRIT 1.0 achieve an overall efficiency of more than 50%. 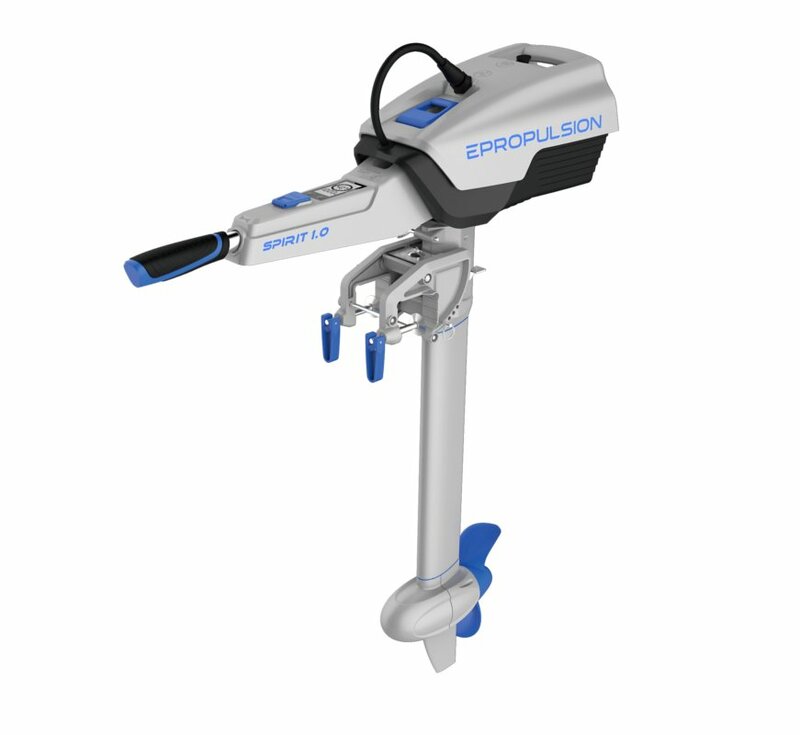 And without gearbox, this electric outboard motor will greatly lower – even eliminate noise and save maintenance troubles that often bother the owners of gas outboards. The strong aluminum alloy case shields the motor effectively from any potential crash. This 3HP foldable electric outboard motor weighs only 7.75kg. It’s designed to be portable so you can lift the motor by one hand and carry the battery by the other with ease. With connections and components satisfying IP67, Spirit 1.0 can operate even if immersed in water. When detached, the battery won’t have any output to protect the electric outboard motor even if the connectors are all wet.